Eggleston Motorsport is closing on adding a fourth Commodore to its Dunlop Super2 Series line-up in 2018. The Holden outfit re-entered the series full-time with Triple Eight-built cars in 2013, and has run three since the following season, when it took Paul Dumbrell to the drivers’ title. It upgraded to Car of the Future machinery with the VF last season, as Dumbrell narrowly missed what would have been his third crown to Matt Stone Racing’s Todd Hazelwood. 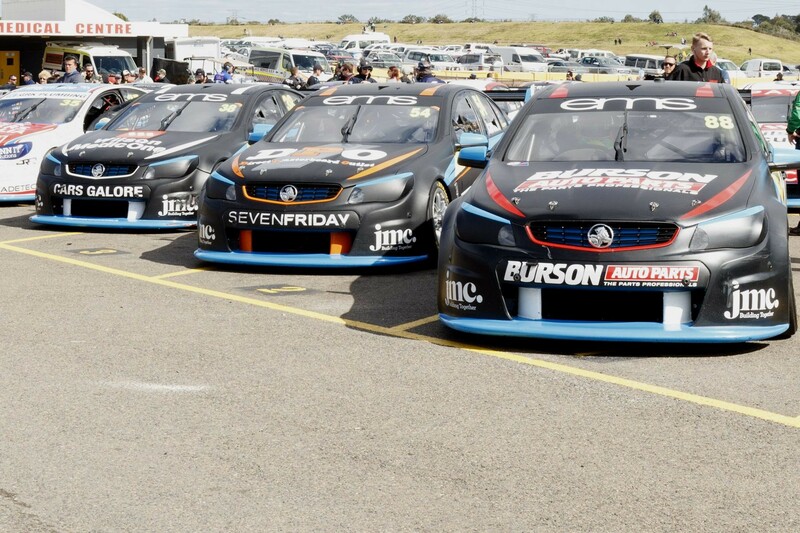 Dumbrell was joined in Eggleston Motorsport’s 2017 line-up by a pair of rookies in eventual Mike Kable Young Gun Award winner Will Brown and GT convert Nathan Morcom. The same trio have all re-signed for 2018 and could be accompanied by a fourth driver in an ex-Triple Eight VF. “That’s definitely the plan at this stage,” team manager Rachael Eggleston told Supercars.com of a fourth car. Eggleston indicated the team’s full 2018 plans were due to be finalised in the coming week. “We’re just putting the final bits and pieces in place and should be able to make an announcement in the next week or two,” Eggleston added. Brown finished ninth and Morcom 13th in the 2017 standings, and the former will join Dumbrell in the ranks of PIRTEK Enduro Cup co-drivers this year. Dumbrell’s partnership with Jamie Whincup continues for a seventh campaign with the Red Bull Holden Racing Team while 19-year-old Brown has been signed by Erebus Motorsport to drive with its new recruit, Anton De Pasquale.